This past summer Mackenzie Boyer successfully defended her PhD thesis and completed her work at UF-ABE. Dr. Boyer was the rare graduate student who returned to school following a stint in the professional world as a consulting engineer. As part of the Dukes research team she published the first journal article documenting water-savings in Florida-Friendly Landscape-certified (FFL) homes. Her work assessing effectiveness of outdoor watering restrictions in Florida was also novel terrain. 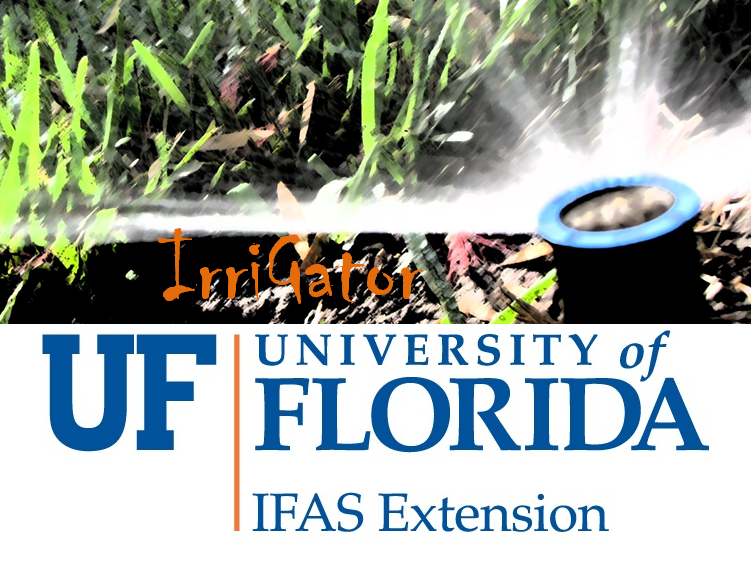 On her most recent visit to Florida, Dr. Boyer agreed to speak with IrriGator about her research and more. 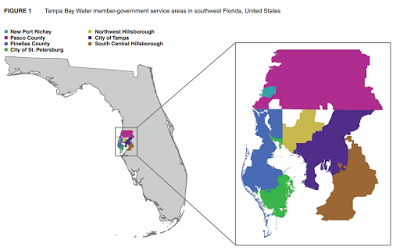 MB: The focus has been studying watering billing records to determine people’s irrigation habits in the Tampa Bay Water region (the SWFWMD area) trying to understand individual customer use for irrigation and then to also understand customer responses to irrigation conservation measures. So looking historically at how well the Florida-Friendly Landscaping Program has done, and how well water restrictions have done and then also projecting into the future how well could a utility do if they were to adopt different conservation strategies. You came back to graduate school from the professional world. How do you feel this informed your perspective as a student? MB: The first part of my career focused a lot more on the smaller details of water treatment and water system designs, but what was missing was more of the planning aspect – the big picture. I recognized what was missing in the work that I was doing with water and that’s one of the reasons why I went back to school. A great thing about this project is that we’re working directly with Tampa Bay Water and SWFWMD and the utilities. I feel like we’re impacting the supply side of water more so with our research now. You recently relocated from Florida to Arizona. Do you get a sense that people relate to water differently out West? MB: They do relate to it differently. Xeriscapes are much more popular there than FFL is here. But there are still a lot of homeowners that have turfgrass in the desert where you need to put 7 or 8 feet of water on your landscape during the course of the year. I think there is an appreciation of the amount of water that goes into a landscape in that alternative landscapes are accepted at a much larger scale. But for the people who choose to have turfgrass there isn’t the concern about water conservation or the right ways to irrigate your landscape. The Dukes program tends to attract and develop really skilled water researchers. Do you have any insight as to why? MB: This is a very important problem in residential water use. 50% of the potable water that goes to homes in the US ends up on people’s landscapes. This is a large area of potential conservation and the research that this group is doing can address an immediate need for better ways to conserve our potable water. Currently you are prioritizing raising your family, but looking ahead to when you return to the work force how would you describe your ideal job? MB: I hope to work in some area of academia or some area where I’m working directly with utilities. I’d really like to be helping inform utilities on their customers’ irrigation use and methods of conservation that would be applicable to their customers. The type of work that I did using water billing records, a lot of utilities are doing. There is a growing amount of data available to utilities and trying to help them to use that data to affect their water demand would be ideal. There seems to be a lot of interesting work being done at Arizona State University and some of the cities like the city of Phoenix and the City of Scottsdale. Hopefully I can join some of their work and be able to contribute to it.